Set against the sultry skies of Seville in the 1800s, Bizet’s opera Carmen is a tale driven by passion, manipulation and jealousy. When fiery gypsy woman Carmen is arrested for stabbing a fellow factory worker, she unscrupulously seduces army corporal Don José to secure her escape from prison. Hopelessly infatuated with her, and believing that she returns his love, Don José sacrifices everything he has, following Carmen into her band of smugglers. But Carmen will not give up her freedom so easily. When she abandons Don José for the charismatic bullfighter Escamillo, the forces of fate take over, culminating in one final battle between Don José’s desperate love and Carmen’s unbreakable spirit. Bizet’s powerful score, inspired by Spanish folk songs and rhythms, brings his characters to life and momentum and drama to the story. It features celebrated arias such as the ‘March of the Toreadors’, the ‘Habanera’ and the ‘Seguidilla’, often used in TV, films and adverts for their instant appeal and dramatic impact. Carmen is one of the most beloved and most staged operas of all time. Foyle Opera’s production, in association with North West Opera, will feature a live orchestra under the baton of acclaimed conductor John Page. Now based in Boston, John Page returns to Derry/Londonderry, the city of his birth, to lead an international cast of professional principals including Irish soprano Ann Jennings in the title role, plus the combined choruses of Foyle and North West Operas. This production of Carmen will be sung in English. Foyle Opera is a non-profit community opera organisation, founded in Derry in September 2016. Our activities are centred around the production and performance of opera in both full theatre productions and in smaller concert productions. The idea behind our operation is that productions are led by an experienced creative team and feature a professional principal cast and orchestra, but that the majority of participants, the membership of the organisation, is from the community. Our membership is primarily the chorus of Foyle Opera, which meets weekly to sing together, under the direction of artistic director and chorus mistress, Ann Jennings. They receive vocal coaching and training in the repertoire for the production. To maximise engagement of local residents, we have no requirement for classical music training. These singers also manage and produce the opera, in particular contributing to elements of the staging such as set design and construction, costuming and properties. This also provides a way for those who don’t wish to sing to contribute and to be involved. 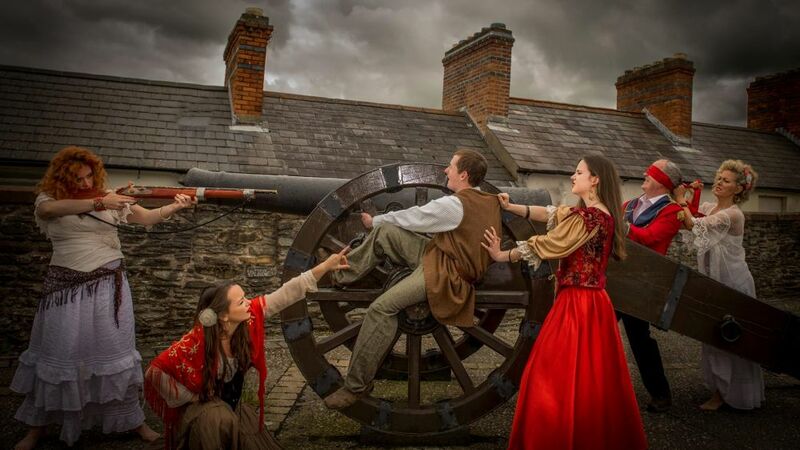 Our aims as an organisation are to stage opera and operettas in the Foyle Area, particularly in Derry; to engage the wider community in opera as performers, producers and as audience members; and to provide a platform to educate local communities about opera through active participation. We aim to provide a forum for our membership and volunteer base to develop their own skills, not only as singers and musicians, as actors and dancers, but also in set building, painting, sewing, costuming and also in management, so that involvement in our productions is a unique creative and social experience for everyone regardless of their background and skills.